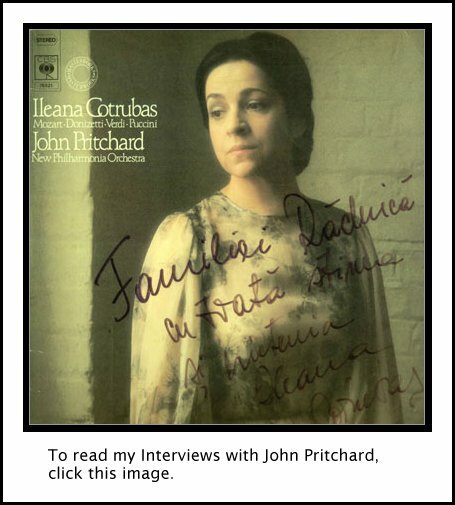 Ileana Cotrubas Interview with Bruce Duffie . . . . . . . The Romanian soprano, Ileana Cotrubaș, grew up in a very musical family and her father, Vasile, was a tenor in an amateur chorus. Her musical career began at the age of nine when she became a member of a children's radio chorus. By the age of 11, she was one of its leading soloists. When her family moved to Bucharest in 1952, she enrolled in the Scoala Speciala de Musica for musically gifted children. She continued her vocal studies until 1958 when, at the age of 19, she was accepted into the Ciprian Porumbescu Conservatory where she studied with Constantin Stroescu. Six years later, in 1964, she made her operatic debut at the Bucharest Opera as Yniold in Debussy's Pelléas et Mélisande. With the Bucharest Opera, she expanded her repertory to include roles such as Oscar in Un Ballo in Maschera, Gilda in Rigoletto, and Blondchen in The Abduction from the Seraglio. In 1965, Cotrubaș gained international recognition in Hertogenbosch, Holland, where she won first prize in opera, lieder, and oratio at a local singing competition. The following year, she won a radio-television competition in Munich and. Those awards, and her great success in the role of Pamina at Brussels, led to appearances in Vienna, Hamburg, Berlin and Salzburg, and to a contract with the Frankfurt Opera. During the next few years, she made her debuts in the major opera houses in Europe. She also made her British debut at the Glyndebourne Festival in 1969 as Mélisande, and in her two succeeding seasons there the title-role in Cavalli’s Calisto. One of the highlights of her career was her début at Covent Garden in 1971 as Tatyana in Eugene Onegin. Cotrubaș signed a three-year contract with the Vienna State Opera in 1970. During her time there, she sang Susanna in Le Nozze di Figaro, Zerlina in Don Giovanni, Violetta in La Traviata, Mimi in La Bohème, and Sophie in Der Rosenkavalier. Her contract, though, allowed her to sing abroad, and she made her American operatic debut in 1973 at the Lyric Opera of Chicago as Mimì. On January 7, 1975, she replaced Mirella Freni at La Scala as Mimi. She had to fly from her home in Kent and arrived 15 minutes before curtain time. The applause that followed her first act aria was fantastic and her interpretation was acclaimed by critics and audiences alike. She made her Metropolitan Opera debut in New York on March 23, 1977, as Mimi. 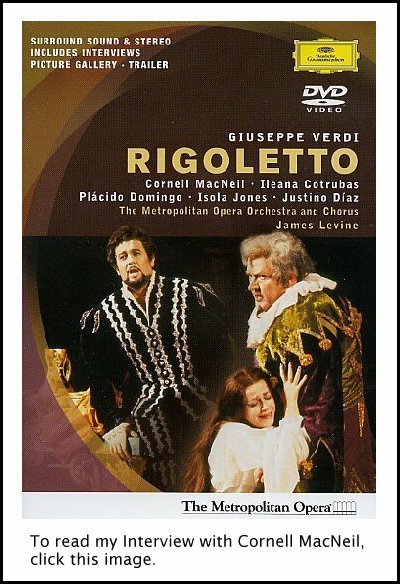 She returned to the Met as Gilda in a televised performance of Rigoletto in the 1977-1978 season [DVD shown at right], and as Violetta with Plácido Domingo in the 1980-1981 season. She is also much in demand as a concert artist, and has sung in many recordings. In 1981, she was named a Kammersangerin by the Austrian government. In 1989, she announced her retirement, and focused her energies on teaching. Her best-known pupil is Angela Gheorghiu, her Romanian compatriot. She married musician Manfred Ramin in 1972. As noted above, Cotrubaș made her American Operatic Debut at Lyric Opera of Chicago in 1973. She returned to Chicago in November 1974 as Norina in Don Pasquale, and in 1975 as Violetta in La Traviata and Gluck's Euridice. In 1983 she was back again as Mimì and for the Callas International Celebration concert, and finally in 1985 as Magda La Rondine. It was during this last visit that I had the pleasure of speaking with her. Her English was quite good, and she often paused to consider just how to phrase her remarks. She would sometimes ask if such-and-such was the correct word as we used it, and I usually agreed or simply put it into a different form. 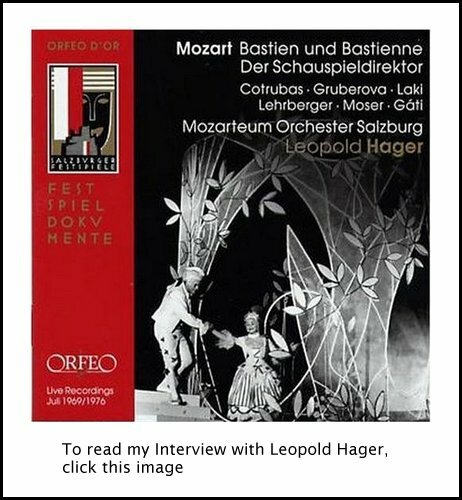 Even though she did not sing Mozart in the Windy City, I knew she had performed and recorded many of his works, so that is where we began our conversation . . . . . . . . .
Bruce Duffie: First, tell me the secret of singing Mozart! Ileana Cotrubaș: I think to sing Mozart you have to be born with something special! It is very difficult, because we are talking always about style. Mozart, you are singing in a way and Verdi in another way and Bach also in another way. It's very difficult because you have a voice and you have your personality, and the voice will be the same for Mozart or Verdi or Bach. But you have to think of the period when all these composers lived. Every composer was stamped, or touched by his society when he lived, by the social surroundings, by the literature, by the painting and everything. It's coming in their own music and their own personality. How is it so difficult about Mozart? I think it's very natural. You have to be very natural and have this purity of sound. But it's the same with Schubert, for example. You don't have to make anything. You have to just feel it inside. I think to be able to sing Mozart, you have to be born with a kind of musical sensitivity, which is more special than for Puccini or even Verdi. BD: Don't you have to bring some kind of sensitivity to the works of Verdi? IC: You have to, but it's easier than for Mozart. BD: It's perhaps not an easy question. IC: This is not an easy question! I don't know on which corner I have to turn because for me it's very natural to sing Mozart. I do love it very much. My preferred composers are Mozart and Verdi because they are so different. BD: Is there one particular role you enjoy more than the others? IC: No, I can't say that I love or enjoy one more than another. I love Mozart generally — not only the operas, but the symphonies, the concertos, everything. I could hear Mozart or Schubert every day every minute and I would be never tired of it. 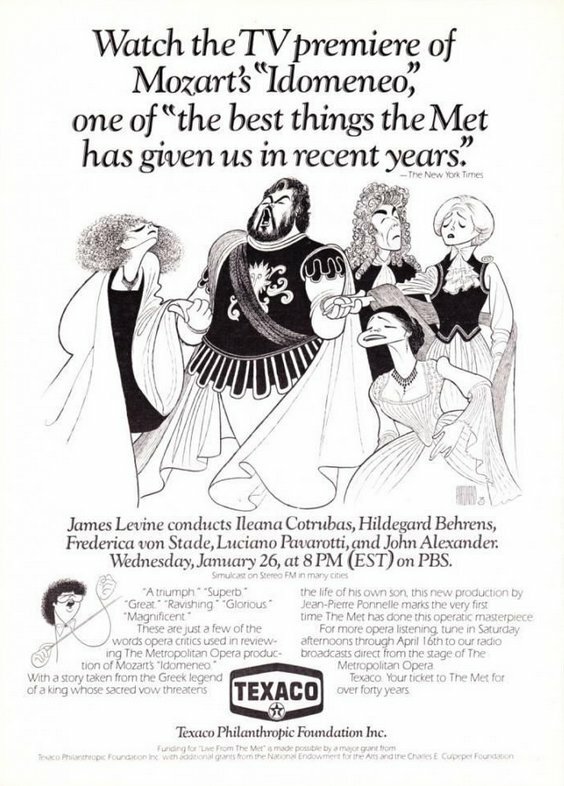 For example, I've done so many performances of Zauberflöte, and now I don't do any longer Pamina, but I will hear it with the same happiness and pleasure. I love it always. I would never say I can't hear it again. BD: Why have you retired the role of Pamina? IC: Because I've done many beautiful performances and very good productions, and I think I brought into the character everything I could have given, the best. Also because the voice is taking a little bit another path. I should take other roles. Pamina should be a very young girl, but so many other roles must be very young. Gilda, for example, I no longer sing, and even for Susanna now that the voice is developing a little bit more, not in a dramatic way but a more dramatic repertoire, a lirico with a little bit broader line. BD: Is your voice getting heavier? BD: Do you enjoy learning new roles? IC: Yes of course, I enjoy! I'm very interested, and it's a wonderful challenge to see them from the dramatic, from the interpreting point of view. All these new parts were not so difficult to interpret, they were not a challenge for me because I think I'm a good actress and I do love very much acting. But vocally it's much more important to see. 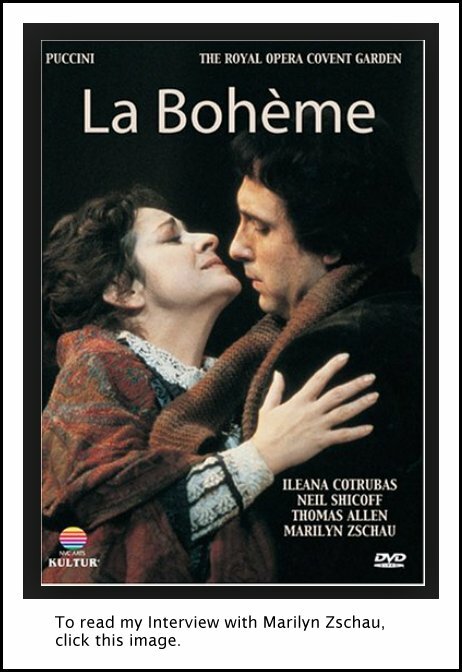 This Rondine, for example, which is not a very good opera. It's not good! It has nice parts, but lacks drama. So for me it's a great help because it was in between. It stretches me a little bit, and I wanted to see on the top of the voice because I need that for Simon Boccanegra. I need all this round beautiful sound. I also need that for Traviata, which for me was and still is my preferred part because you have everything in it, from the acting point of view, from the vocal point of view, you have everything. It's just perfect, it's complete. I also love very much Bohème, I love Mélisande and all the parts I've done, but the new roles I'm prepared now to do. From the acting point of view they are not difficult. I don't have fears to do them. BD: Tell me a bit about Violetta. What kind of a woman is she? IC: [Chuckles] She's a great woman, she's really a great personality. She's a courtesan, you say a paid woman, a fallen woman you say in English. Mimì is also a fallen woman but on a smaller scale, and Magda is also a fallen woman. IC: Manon as well! But it's such difference because Violetta, as a human being, as a person has this generosity. She will sacrifice her love, her life, for the happiness of other people. Verdi puts her on another level. BD: Is she too noble, perhaps? IC: No, I don't think so. For the time when she lived she was a woman of culture. She had in her society, her salon, all the greatest personalities such as Alfred de Musset and Chopin and all these great people. She was a very learned woman. BD: Do you enjoy playing this sort of character? IC: I'm not at the beginning of my career; on the contrary! I'm on the other side. But I haven't done so many parts. I don't have such a big repertoire. I've never sung many, many operas, many parts. BD: How do you decide which roles you will sing and which roles you will not sing? IC: I decide if it's one of my possibilities. I know very well how much I can do and what I should and should not take on. If a conductor will ask me for Salome, for example, or for Tosca, of course I will not do it because it's not for me. Not only nowadays, but generally conductors are making mistakes because there are very many young people with beautiful qualities, and every conductor or theater director would be very happy to have somebody who looks young. How exciting it would be to have a young Tosca, for example, looking beautifully and having a beautiful voice. But you can't do Tosca with a person when she's 25 or so because she will not have the experience and the dramatic preparation for such a role from the vocal point of view! BD: When you're singing a role, are you Ileana Cotrubaș portraying a role, or do you become that character? IC: I hope I'm not Ileana Cotrubaș! I am Ileana Cotrubaș interpreting Violetta, Mimì, or Mélisande or Tatiana. Of course I try to bring my own ideas to every role I'm interpreting, my sensitivity, my culture, everything, my musicality, and I'm trying to do it as close as the composer wants it. We will never know what was inside the composer, how the composer may have seen in his mind and in his fantasy, but after the music and the text, we can come very close. Nowadays the singers are asked not only to have a beautiful voice, but to have a personality onstage, and to be more convincing in what we are doing. It's not enough just to stay there and give beautiful sounds. You have to bring the character to life and to persuade the audience that it should be like that! BD: Do you refer to the letters of composers and their diaries? IC: Yes, letters, biographies, and so on. When I was a student, we used to read about all this. We had to know the life of the composer, to know the period, the society in which he lived. This is very important because everybody will express in his music or in his work the society in which they lived. I think this is very important. BD: Have you worked with living composers also? IC: No. I'm not good in modern music. I don't have the temperament for doing it. I think also for modern music you have to have a special kind of musicality. I don't have it, and I don't like those modern music works. BD: Do you like to listen to modern music? IC: What is modern? I understand some of Schönberg, but I don't think Schönberg is modern. Who is modern nowadays? Give me a name; I will tell you if I know it. IC: Boulez, yes. I could hear some of his music, but not everything. But it's the same with Picasso, for example. I will not understand or not have the patience for all of it, maybe. It's my fault, of course, because I don't have the preparation and I wasn't interested to go so far to understand many of his works. But I love very much the Blue and the Rose periods. I love the Impressionists very much, and Renaissance pieces. Those are very easy! BD: When you come to the theater, how much do you expect of the audience? IC: Very much... as much as they are expecting from me! It's very difficult. Are you are speaking about an American audience or a European one? BD: Are they significantly different? IC: In different cities they are. In New York, for example, I have the feeling they understand more. They will react better and they will help us. I can't talk about many cities in America because I've only sung in San Francisco, Chicago, and New York. I gave a recital at Liberty University [William Jewell College in Liberty, Missouri on November 10, 1977], and it was also another kind of audience because students are more excited and maybe also they are more prepared. Here in Chicago I'm not talking about the audience for La Rondine, because the text is very difficult even for us. The text is very weak, although I'm against the translation running above the stage. BD: You don't like the use of supertitles? IC: Oh no, not at all. I think it's very disturbing and nobody can concentrate. It distracts from what is happening on the stage. You're all the time [moves her head up and down]! I saw it today because they put it also for the second cast, and it's very disturbing. Every person that is coming — not only to the opera but to a concert or a play in the theater — should come a little bit prepared. You should not just think, “I am going tonight to the opera and I will enjoy myself. What is happening tonight? I don't know. I don't know what the opera is called, but I will hear some singers...” You have to do some work, to look in a book, to know about the composer and so on. Maybe I'm too demanding, but I think it should be like that! I think people should take time. I was very angry and even upset because we were not even finished and many people were taking their coats and leaving. It's not to be polite to us, but to the music, to the composer, and to the work of the whole company. I know they have to catch trains and taxis, but we as artists have also to catch trains. I'm not living in the opera house, I have to find a taxi in the cold. They should not just hear the last phrase finish and then go home. We need the applause because this is an answer to our work. If we gave enough, I would hope they would not be so inhibited. Even in London, the English are quite a little bit so reserved. But the Americans are not, in fact. The public, the audience, in New York are quite excited and very full of generosity! BD: Can an audience be too demonstrative? IC: Yes, of course they can! Take the audience last night at the concert in Lincoln Center [the Pavarotti Plus! concert in the Live from Lincoln Center series.] Oh, it was, it was unbelievable! I saw the other day Jessye Norman recital at Orchestra Hall. It was unbelievable, it was so fantastic! It was indeed a wonderful concert, but I've never seen in America such a standing ovation and people shouting Bravo! They were happy! But at the opera they are just [makes a quiet noise]. BD: They are too polite? IC: Yes. Too polite. I don't know why. BD: What can we do to generate more enthusiasm? IC: Just shake yourself! [Both laugh] Maybe some people are too ashamed to bring out their own feelings. I think this is the truth. Maybe they are too introverted and they are ashamed of their own feelings. Perhaps they think, “I love it so much and I would like to say that, to show it, but I don't dare.” This is wrong, because all this is what you feel and you have to give it out! It will make you, even yourself, happier. IC: No, no, not at all! I'm not talking just about La Rondine. I was at a Traviata performance a few days ago, and what a nice audience. It was very strange. At some of the performances of I Capuleti e i Montecchi, which is a beautiful production with a marvelous cast, but I think there were very many Italians in the hall and so they understood better the text, maybe. But it was another reaction. It's quite a difference between the Chicago audience and even San Francisco. I think, it's more noisy there. We will have only two curtain calls here, and in Europe we will have 29 or 39 curtain calls for a performance. Can you imagine? You can't imagine, but this is true! BD: Does the size of the house affect you at all? IC: Yes. I don't like these big theaters in America. It's very difficult because theater is a very intimate thing. People are coming to see expression. They have to see what your eyes are saying. When you have 4,000 people and it's such a huge space, how can you understand a Mozart recitativo in such a house? It will get lost! BD: Tell me about Manon. Is she at all like Traviata? IC: No no no no no, she's not! [Both laugh] She has not this greatness of character as Violetta has. BD: [Thinking just of the lavish attributes, rather than her inner character] Even in the Cours-la-Reine scene? IC: In the Saint-Sulpice, you mean? With Cours-la-Reine she's showing off the splendor of her beauty and her new the dresses and getting everyone to look at her and how beautiful she is. This is not a compliment. It is much better in the Saint-Sulpice, when she is coming to take Des Grieux with her. She has her moments when she sees what was the true love of Des Grieux for her, and not all this superficiality. But Manon is a very French character. You will never ever find another similar character in an opera by Verdi or Puccini or by other composers. Manon is specifically French as a character of a woman. So it's a special. It's very beautiful. BD: Even though Traviata is actually Alexandre Dumas? IC: It's not really Alexandre Dumas, because if you read the book [La Dame aux Camélias], you'll have another image of Violetta. 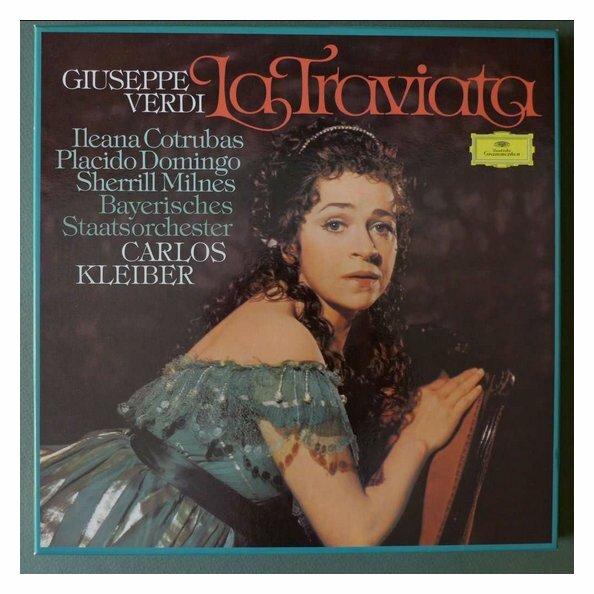 Traviata by Verdi is completely another character. It's the same for Bohème by Murger [Scènes de la vie de bohême]! For me, Mimì in the Murger is very unsympathetic, and Mimì by Puccini — really the whole opera — is one of the most perfect from the drama. Every character is so fantastically underlined musically and dramatically. 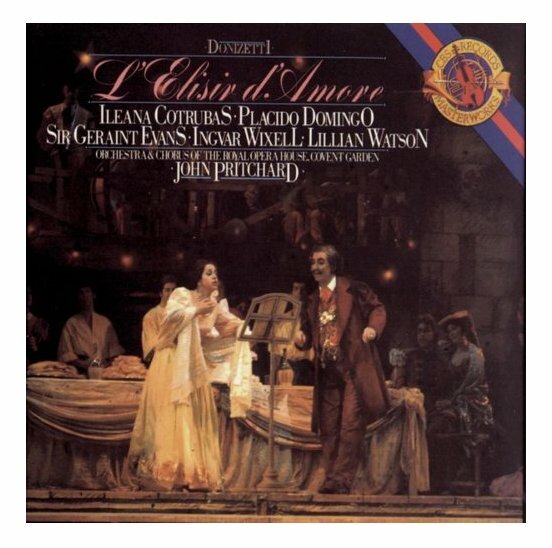 IC: Manon as a person or as an opera? It's a good opera. I don't know that Massenet knew so much about voice because in fact you have two kinds of sopranos in Manon. You have one which has to have a beautiful légèreté. The voice is not a coloratura but with some légèreté, and then you have in the Saint-Sulpice scene and in the last act a more lirico soprano. It's because the drama is stronger, so you have to combine all this. BD: Is there a chance that Manon would have been better off if she had gone off with de Brétigny instead of with des Grieux? IC: Of course not! She should have, as a human being, but in the end she wants to stay with des Grieux, but it's too late because she is being deported. BD: Even in the very first scene she should not have gone off with the rich man? IC: We can't judge so much because she's very young. She's born with this coquetterie. She likes very much this opportunity. She's coming from poor family, and for her, she is born with this excited desire to have all this beauty. When she sees the three women in the first scene with beautiful dresses and jewels, her eyes are taken by this superficiality of life. She's very young, but she's born with this superficiality! We have to take her as she is! We can't try to change her. We have to interpret her as Massenet and l'Abbé de Prévost wrote about the character. BD: Is des Grieux the only one that really touches her heart? BD: It seems that most operas do not have a happy end! IC: No, and that's good! You have Don Pasquale, which is beautiful and has a happy end. It's lovely and it leaves you with such a light feeling! But then you have Traviata or you have Mimì, which also is beautiful for a human being to pass through all these emotions and feelings, because, in the end, between joy and sadness and unhappiness you are, as a human, developing yourself. You have to live, to be able to live all these feelings. BD: Is opera art or is opera entertainment? IC: I'm Romanian and until four years ago I used to have a Romanian passport. I had always to ask for a visa for every country, and in my profession it's very difficult to wait three weeks or four weeks to get a visa! I have now a German passport, because my husband is German. But for my tour of Japan, the Japanese wrote in the passport, “Only for entertainment!” [Both laugh] I was a little bit shocked! So yes and no, in fact. Art and entertainment are combined. BD: Where is the balance between the two sides? IC: Who knows where is the balance? Because you are coming, you want to be entertained. If you are going to a musical, you can say that you are entertained, but if you go to a symphonic concert or to a recital or to an opera, as I said earlier, you have to not just let the things only come to you, but you have to respond, to give something back. You must show your interest, your preparation, and so on. BD: So then you expect the audience then to be more of a participant? IC: [Enthusiastically] I do, I do!! BD: Do you enjoy making records? IC: Not very much, no. It's another world. It's very difficult, because although they will ask, it will not be the same concentration. You have to interpret, to give, even though nobody can see you! So you have to maybe not exaggerate, but try to be even more specific in words and in expression. I have a very sensitive voice, and in making a record you have to be able to do it and redo it many times, do many takes and retakes. I am good the first time, I start to be tired on the second, and then on the third, I will be finished! [Laughs] So it's very difficult because the first time, if I'm all right then the orchestra will be not together, or the tenor cracked a note, so we'll have to do it again. These are the little things about me not being so happy doing records. But I managed all right. BD: Are you pleased with them once they are issued? IC: I can't complain! Not too much, anyway. I don't like to hear myself on records because I will always find [snaps her fingers] “I could do this better! Why have I done this phrase like that,” and so on. BD: Does it upset you when someone comes and says they love your record of this or that? IC: It doesn't upset me, because I'm happy if I could have given to somebody some pleasure, some beautiful feelings, or some sad feelings as well. BD: Thank you so much for this conversation. IC: I am glad we could have the appointment. This conversation was recorded in Chicago on January 7, 1986. Portions were broadcast on WNIB later that year, and again in 1987, 1989, 1994 and 1999. A brief portion was used on the Lyric Opera of Chicasgo Website as tribute to their Jubilarians during the Gala 50th Anniversary Season. This transcription was made in 2014, and posted on this website in 2015.